General dentistry is the most common type of dental practice. General dentistry covers a variety of dental treatments. 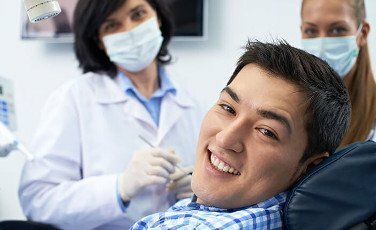 You can visit a general dentist in Melbourne for the evaluation, diagnosis, prevention, and treatment of various dental conditions and diseases. The work of a general dentist includes cosmetic, restorative, and preventative treatments for ensuring you have a great smile. For a limited time dental check-ups at our Melbourne Clinic are $60 for new patients only, mention this offer when booking your appointment. A large percentage of people don’t visit their dentist for regular dental checkups. They wait until they have severe pain or toothaches. When you delay treatment, you increase the potential damage and the severity of the issue. 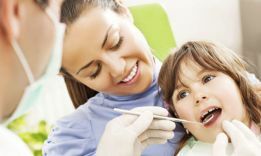 With regular dental exams, you can even detect problems early, potentially preventing any major damage or tooth decay. During a typical dental exam, your dentist or a dental hygienist will remove plaque and buildup from your teeth. X-rays may be taken to get a better look at your teeth. How often should you schedule this regular exam? The general recommendation is to visit your dentist at least twice per year. Teeth cleaning is often a part of the regularly scheduled checkup. 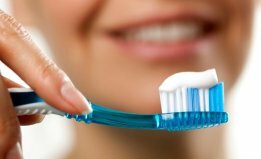 Along with examining your teeth, they will use equipment to remove any buildup that you could not reach with your toothbrush. Teeth whitening is used to whiten your teeth several shades lighter. A bleaching agent is used to complete this step. Before the whitening process is completed, you will typically need to have your teeth cleaned. Smoking can also stain your teeth, as well as increase your risk of gum disease and tooth decay. Whitening can remove superficial stains, but it does not address further issues, such as erosion of the enamel of your teeth. Depending on the condition of your teeth, your dentist may recommend cosmetic bonding. Cosmetic bonding is used to improve the look of teeth that are discolored or chipped. A resin material is applied directly to the front of your teeth. An intense light is directed at the material to bond it to your teeth. The material can be shaped or polished so that it matches your natural smile. This is one of the least expensive dental cosmetic procedures. The material matches the natural look of your teeth, allowing you to cover chips, cracks, and discoloration. 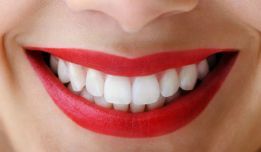 Though, this is also used to change the shape of teeth, close the space between gaps, and provide other improvements to your smile. A dental crown is essentially a cap that is placed over one or more of your teeth. The material is cemented into place, encasing the tooth. This can be used for reasons similar to the use of cosmetic bonding. Though, a crown is more permanent, durable, and expensive. There are also more choices available for the materials that will be used. This includes ceramic, porcelain fused to metal and metal alloys. Metal crowns are more affordable and are often used for teeth located toward the back of your mouth. For covering visible teeth, ceramic or porcelain fused to metal is typically used. Dental bridges are comprised of two or more crowns. They bridge the gap between missing teeth. Dental implants are small metal posts or frames that are placed in your jawbone, below your gums. These implants allow you to add replacement teeth. If there is not enough support from adjacent teeth for a dental bridge, then dental implants may be necessary. These implants are also needed for fixed dentures. Basically, they are used to provide support for the placement of artificial teeth. In order to be a suitable candidate for dental implants, your gums and jawbone must be healthy enough to support the implant. The implant is fused directly to your jawbone. This process requires an adequate amount of bone below the gums. A tooth extraction may be necessary when the tooth is beyond repair or if there is a severe infection. The removal of teeth could require local anesthesia and basic surgery. This depends on the location of the tooth and the condition of the nerve. If your tooth is suffering from severe decay or damage, your dentist may recommend extraction. There are two types of extractions – a simple extraction and a surgical extraction. With a simple extraction, your dentist is able to loosen the tooth with an instrument referred to as an elevator. The tooth is then removed using forceps. If the tooth is broken off at the gum line or if there are other difficulties, your dentist may need to perform surgery to safely extract the tooth. A dental filling are used to restore minor tooth damage and decay. It can help restore the appearance of a damaged tooth. They are similar to crowns. The crown covers the entire visible area of the tooth while a filling often covers one area of the tooth. As with crowns, various materials are used for fillings. This includes the use of porcelain, metal, and composite resin. Inlays are used to cover the center of the inner cusp of the end of the tooth. It covers the very center of the biting surface of the tooth. An onlay covers the entire biting surface. They are like fillings, except that they are used to cover parts of the biting surface, rather than the exterior sides of the tooth. 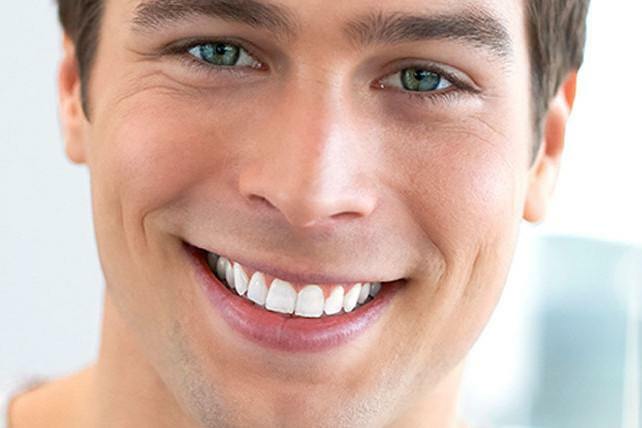 Veneers are similar to cosmetic bonding. A thin material is placed over your teeth, to restore the condition of your smile. They are typically made of porcelain and are designed to resemble the natural appearance of your teeth. The advantage over dental bonding is that veneers should last longer and are less prone to chipping. Dentures are used to replace multiple teeth. This could include fixed or removable dentures. Fixed dentures will require dental implants, but this allows them to remain in place without the use of dental paste. A root canal treatment is used to remove the pulp from the inner cavity of the tooth. These procedures are typically performed in order to remove or prevent the spread of infection. After the cavity of the tooth has been cleared out, a filling or crown is used to restore the exterior condition of the tooth. Sealants can be used to protect your teeth against cavities. These sealants are typically applied during routine dental checkups. Though, they are most commonly used in order to protect children’s teeth as they develop. The bottom line is that general dentistry covers a variety of different procedures. From teeth whitening to root canal treatments, you can rely on your local dentist to help maintain the health of your teeth. During these visits, your dentist may detect dental problems, including the presence of tooth decay, gum disease, or cavities. If any of these issues are detected, your early detection could prevent severe or irreversible damage. If you haven’t been to the dentist recently, schedule an appointment today. Our centrally located Melbourne CBD Dental Clinic is open 7 days a week and we accept all major health insurance providers. Call us today on (03) 9088 0257 or book your appointment online.